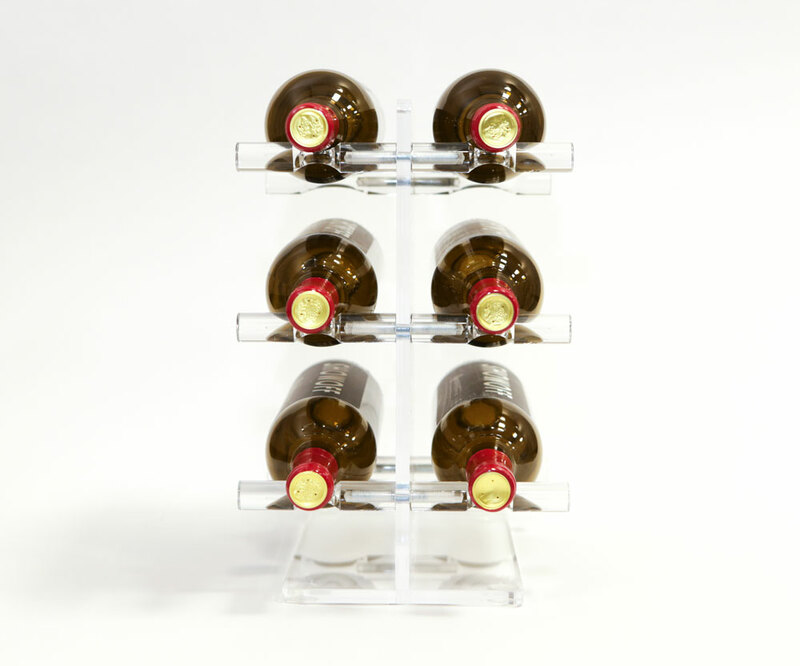 For those who value minimalism in their kitchens and wet bars, the Mini T 6-Bottle Tabletop Acrylic Wine Rack offers a tabletop wine rack solution that is virtually invisible. 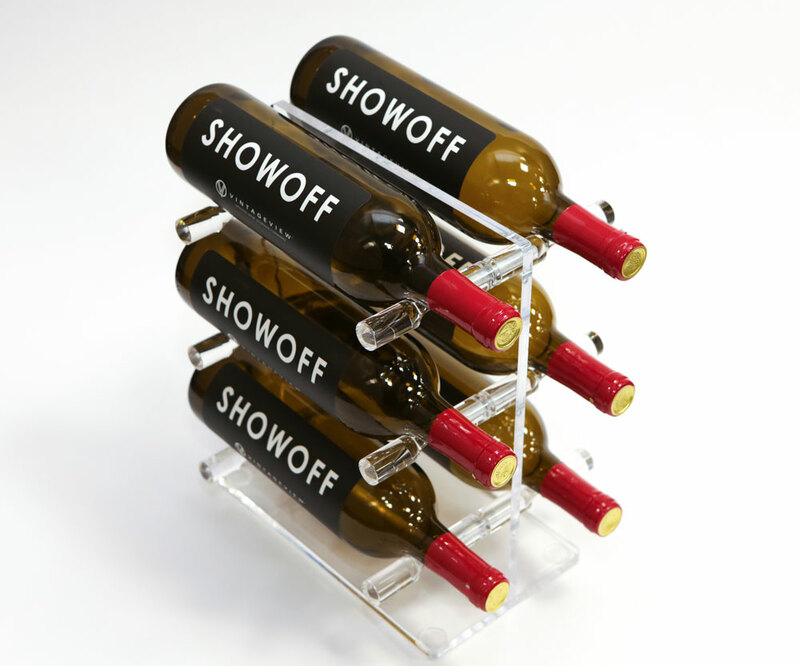 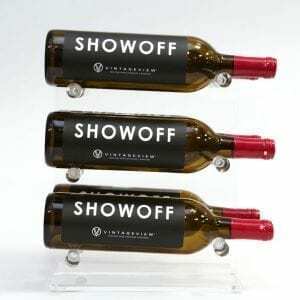 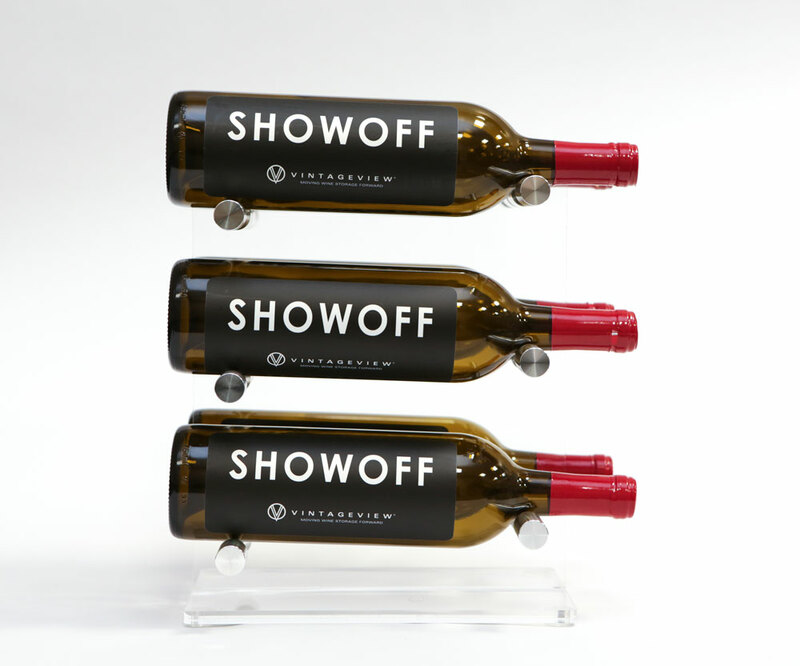 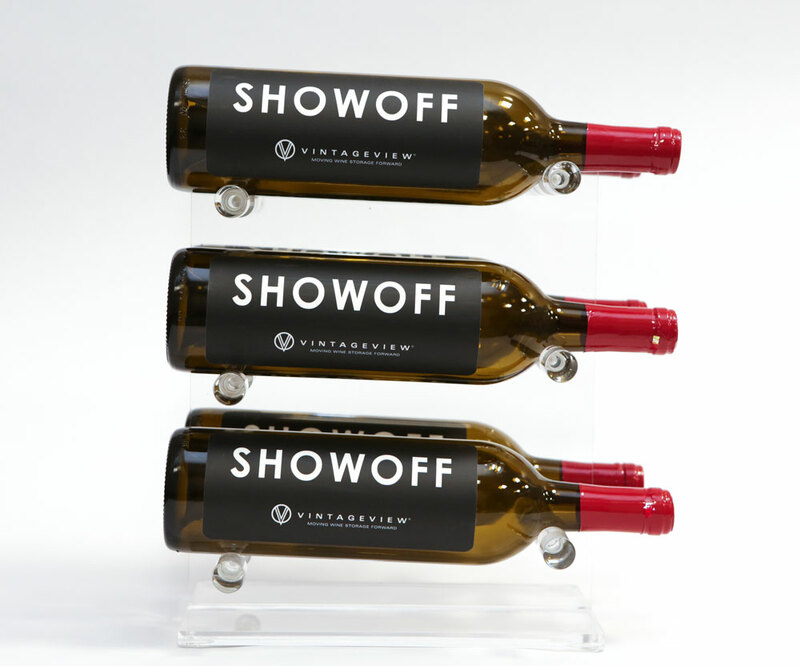 The inverted ‘T’ design of the acrylic base allows your favorite, go-to bottles to seemingly float on your counter. 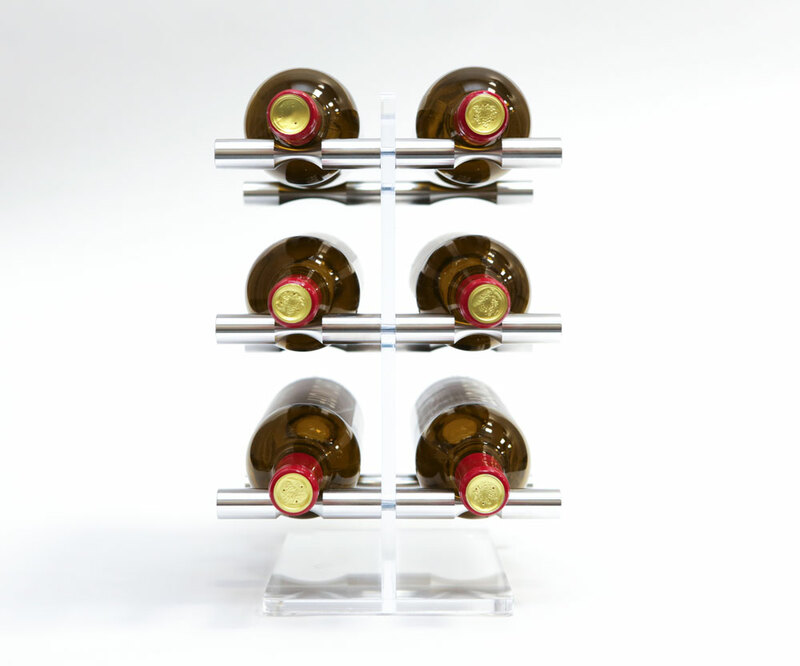 Choice of clear acrylic or silver aluminum wine pegs. 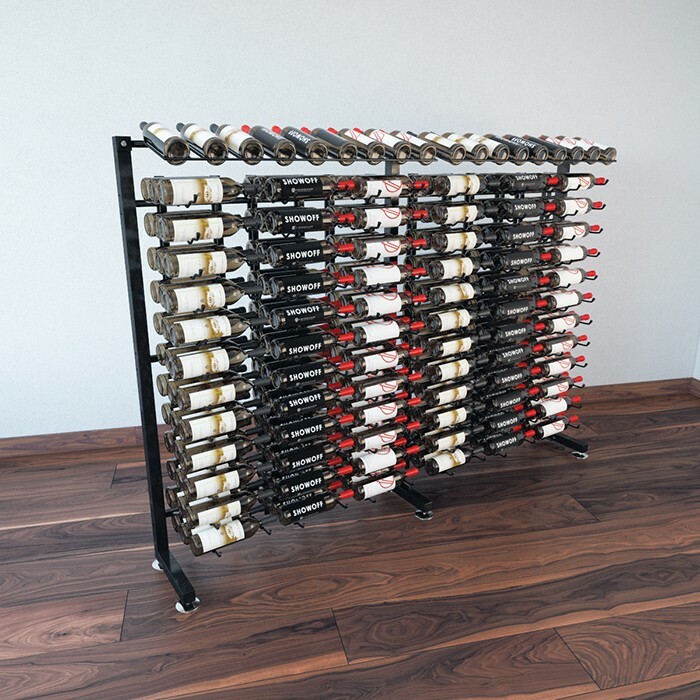 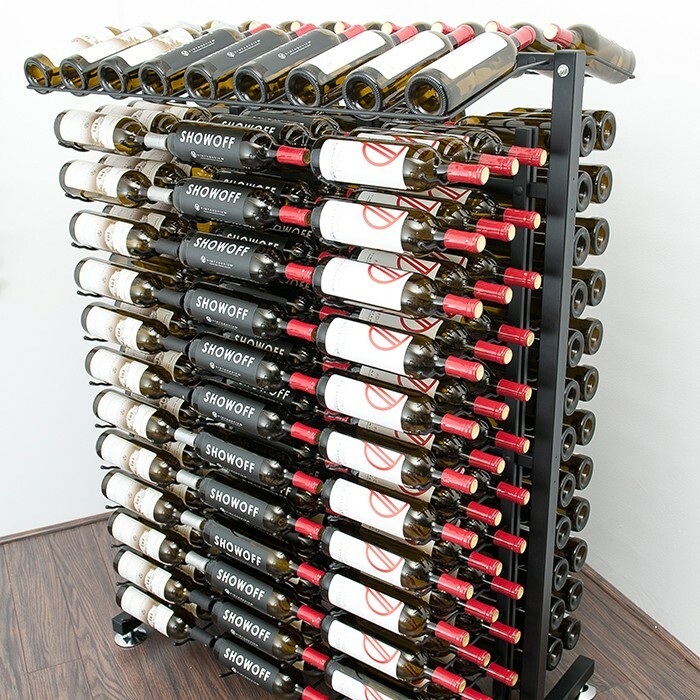 We promise this wine rack will make you extra thirsty to open up a tasty bottle and put out a cheese plate this evening.